Body And Soul, Full Power Release! Goku and Vegeta team up to take on Jiren the Grey. The episode had a few ups and downs, but overall the episode was good. So let's look into what had happened in Dragon Ball Super Episode 123. Last week we had one of the best animated episodes of the entire series. 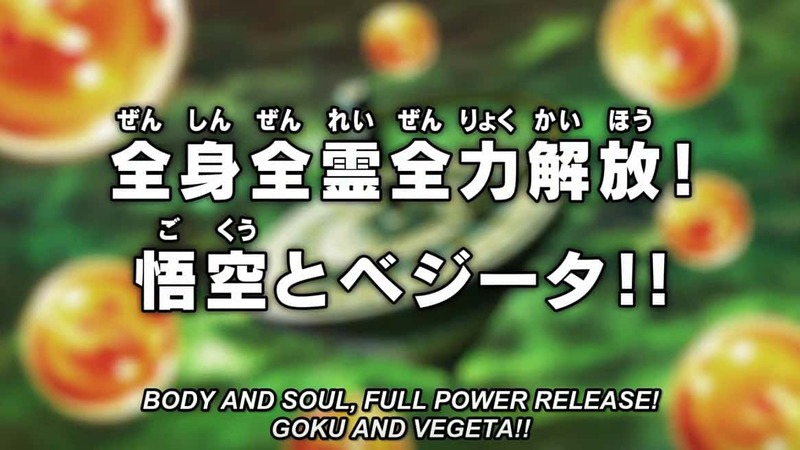 So it was natural that there was going to be less impressive looking episode this week, And it was. 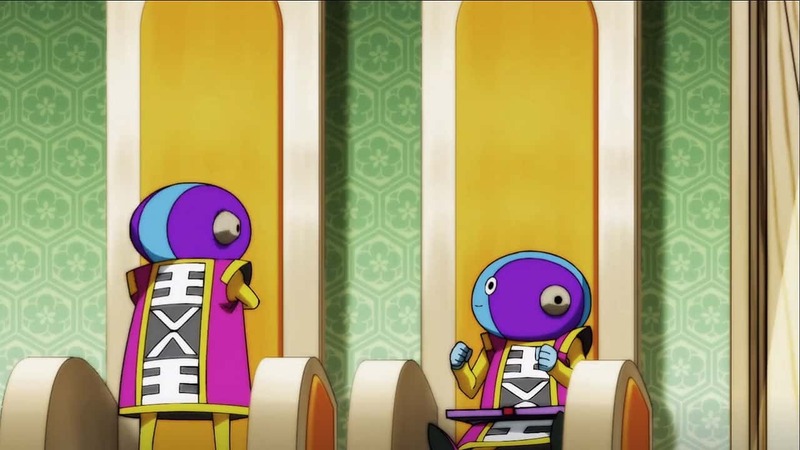 Dragon Ball Super episode 123 had quit a few lackluster animation moments that i wish could have been avoided. But luckily they were few and a far between. Near the end of the episode we got some pretty well animated moments with Vegeta, Goku and Jiren. using his true power, Goku and Vegeta finally started to team up together to take down the Beast, Jiren. This was the biggest highlight of the episode, as this marked one of the few times Goku and Vegeta ever teamed up, And even then they were uncoordinated which was the sole reason Jiren go pushed back. Dragon Ball Super Episode 123 begins with Jiren standing over Vegeta's unconscious body with Goku on the side in complete Shock. Jiren then turns around and Says, "Warrior.... Sleep". With the everyone from Universe 7 in the sitting area in complete shock as to how powerful Jiren is. Belmod of Universe 11 says that Jiren it takes quite a bit for Jiren to recognize someone as a warrior. One of the Zeno's in their child like manner mimics Jiren which was nice touch in my opinion. Vegeta after waking up, can tell Jiren has not used his full power. Goku then decides to fight Jiren and powers up to Super Saiyan Blue. We then cut to Frieza being dragged by Dyspo, who throws Frieza in to rubble. Dyspo begins to brag, only to be shocked by the fact that Frieza hasn't taken any damage at all. Frieza then starts using his death beam on Dyspo, who uses his speed to dodge them. Then we cut to Toppo fighting Gohan and Android 17. 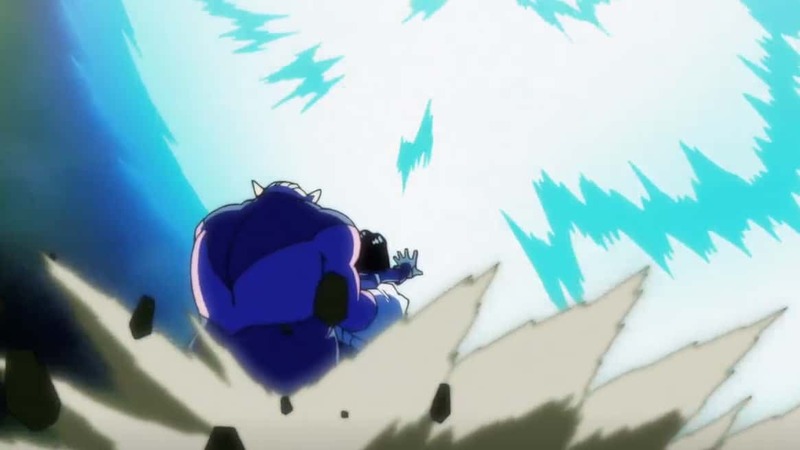 Gohan tries to attack Toppo every time when 17 creates what seems to be an opening, but are unable to damage the Mighty God of Destruction candidate of Universe 11. Android 17 figures out why their attacks aren't working against Toppo. He and Gohan have never worked together before and such they are uncoordinated. 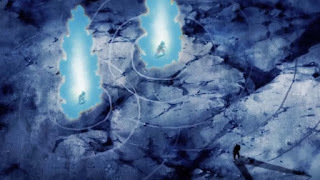 They make a plane that 17 would trap Toppo and Gohan should eliminate them both as soon as Gohan see's an opening. 17 Traps Toppo in his barrier along with himself. and Gohan launches his Kamehameha Wave to knock both 17 and Toppo out. Toppo realizes this and manages to have android 17 be attacked by Gohan, Thus destroying he barrier and barely surviving being eliminated. We then cut back to Goku and Jiren. Goku is slowly measuring Jiren to find an opening, as long range attacks are no good, and Close range attacks are bearing no fruit as well. 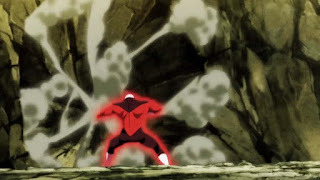 Goku uses Instant Transmission to get close to Jiren and secretly drop Ki bombs that would act as mines, as Jiren steps on one them creating a chain reaction of explosions. Jiren escapes them by jumping up in the air. Goku with frustration starts using Destructo Discs to attack Jiren. Jiren catches one disc and uses it to destroy the pillar Goku is on. Jiren then proceeds to attack Goku up close and personal. Jiren charges his punch for what seems to be the final blow. But goku in the nick of time activates the Destructo Disc Hex Blades, a technique used by Krillin in his sparring match with Goku before the tournament. Goku is able to cut off the rubble he and Jiren were standing on. Goku then uses this opening to knock Jiren off. We Re-watch what just happened, and everyone in Universe 11 is chocked at Goku seemingly eliminating Jiren. 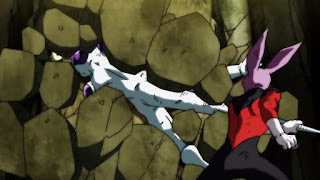 But Jiren manages to jump back using the pieces of rubble that are falling. Goku has set up mine fields again to get some time to think of a strategy with Vegeta. But Jiren just casually walks through it without any damage whatsoever, while being cloaked in his red aura. Goku and Vegeta look in aw as what a beat Jiren is. 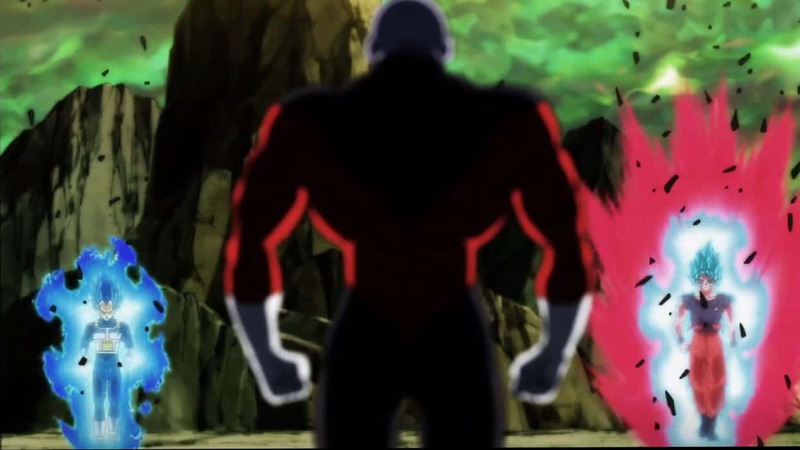 Jiren charges himself even more, with Belmod saying that he hasn't seen Jiren like that in a long time. Goku power ups as well in respond and starts fighting again with Jiren. Jiren launches an attack that just misses Goku's head, which goes on to destroy a few giant hills. Goku backs away in fear after witnessing what Jiren truly is capable of, which Belmod calls Jiren's true power and Khai, the Universe 11's Grand Supreme Kai call's Jiren's "Simple Punch". Goku is hit by these "Simple Punches" quite a few times. Goku then praises Jiren and His Power but he is not done yet. Vegeta after seeing Goku not backing down, also gets up, inspired to fight once again. He admits that Jiren is Strong but they need to win in order to get the Super Dragon Balls. Goku and Vegeta, both Saiyans then power up. Goku uses Super Saiyan Blue Kaioken, while Vegeta remembering his promise to Cabba about resurrecting them, Powers ups beyond Super Saiyan Blue. Vegeta's Aura has changed, His body also looks a little different. 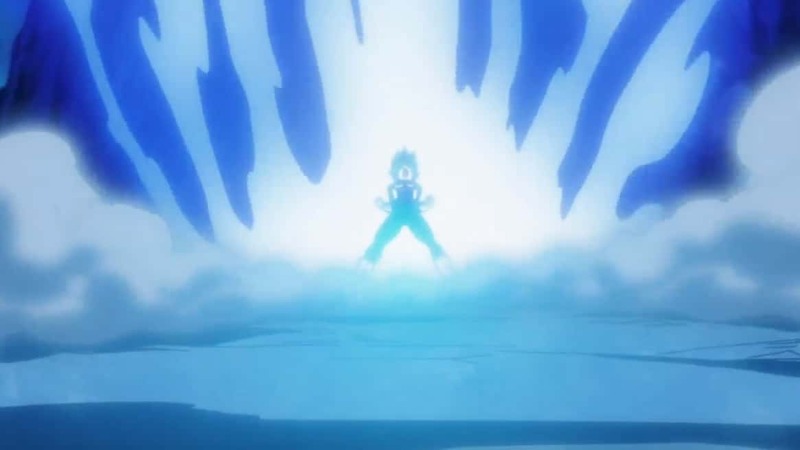 The Grand Priest says that Vegeta broke through his shell and has focused a power beyond Super Saiyan Blue. This is Vegeta's "Limit Breaking Power". Both Goku and Vegeta attack Jiren together. Jiren notes that their strikes are sharper. Piccolo notes that Jiren is off balance only to be corrected by Whis who says that Goku and Vegeta can't do a proper coordinated attack, But this is what's giving Jiren trouble. 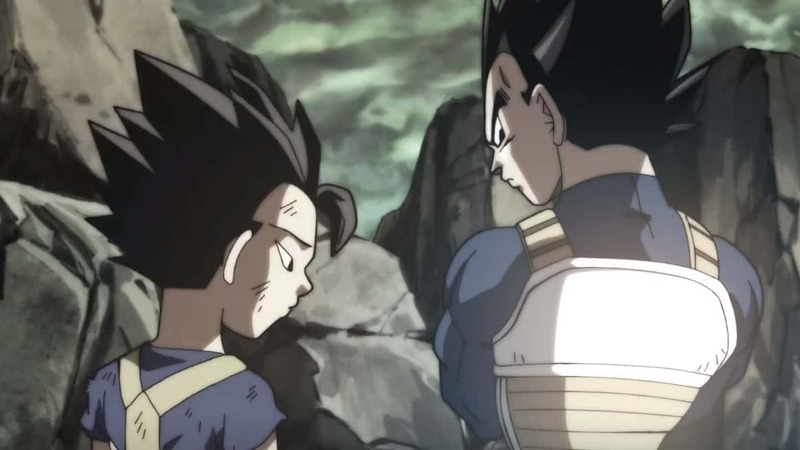 Goku and Vegeta stare down Jiren once more as the episode ends. 7 minutes before the Tournament of Power ends. Vegeta being absent for the most of the episode despite being an important part of it. This episode featured some great action but was mostly just there until the last few minutes. Zeno's acting like Jiren was good and showcased there personality very well. would definitely prefer if a God of Destruction, Supreme Kai or an Angel is the one describing the event happening rather than the others. They are capable to do that more than Piccolo, Krillin etc.